Unable to view this correctly? Access issue on WHSC website. Emory was one of 14 academic institutions across the nation to receive a Health Care Innovations award this week from the Center for Medicare and Medicaid Services. Made possible by the Affordable Care Act, the awards fund projects aimed at reducing health care costs, improving quality, and enhancing the health care workforce. Emory received $10.7 million over three years for its plan to build a collaborative network supporting intensive care units in North Georgia. The collaborative will combine specialty training with telemedicine to improve critical care for patients in rural and underserved areas. Emory Healthcare will partner with Saint Joseph's Health System, Northeast Georgia Health System, Southern Regional Medical Center, and telemedicine provider Philips Healthcare to train nurse practitioners and physician assistants as critical care specialists. The collaborative also will integrate telemedicine ICU services into community hospitals to allow remote support, advice, and supervision by experienced critical care doctors and nurses. The program is expected to improve access to ICU care in the community and to save more than $18 million over three years. 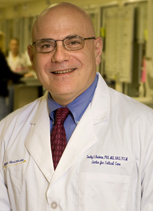 Timothy Buchman, director of the Emory Center for Critical Care, is architect and director of the new North Georgia Critical Care Collaborative. 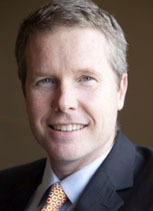 James Bailey, chief medical informatics officer at Northeast Georgia Health System in Gainesville, is co-director. "Across the country, many ICUs—more than 1,000 between 1985 and 2005 and especially those in community and rural hospitals—have closed for lack of qualified doctors and other staff," says Buchman. 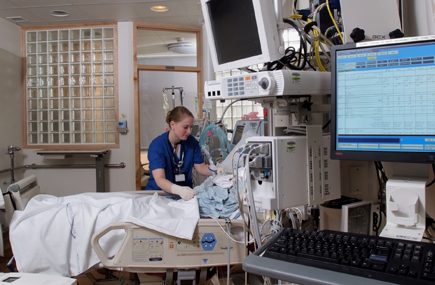 "As a result, patients and families now find themselves traveling long distances to unfamiliar places for critical care, wherever an open ICU bed can be found. And those open beds have become much harder to find." The new collaborative will help solve this problem by bringing more than 40 critical care professionals from their local hospitals and communities to Emory for six months' advanced training. Once trained, they will return to their community hospitals to provide care that is supported by tele-ICU services. This central tele-ICU team will give patients, families, and community hospitals the benefit of round-the-clock, two-way audiovisual consultation, monitoring, and advice from an ICU doctor and a critical care nurse working with a specially trained provider continuously present in the community ICU. The tele-medicine system also will support additional clinical, technical, and administrative professionals who form the local hospital critical care teams. This means patients can remain in their own communities, surrounded by families and friends, and in their own hospitals while getting the critical care they need, says Buchman. The program saves "costs, money, time, and lives and can be quickly replicated and adopted in other communities, scaled to local needs," he adds. Need an appointment to see an Emory Healthcare provider? The Emory Employee Appointment Line, 404-778-EVIP (8-3847), has been revamped to give employees easier, faster access. Rather than contacting each section's call center, employees need only call the central 8-EVIP line for an appointment. Employees will be given a nonprovider-specific appointment within 14 days (sooner for needs deemed medically urgent). The previous threshold was 30 days. "Unlike in the past, we now have a central call center to accommodate employee needs, and there are reserved blocks of time in section schedules just for appointments for EVIP callers," says Brent Bizwell, director of operations for The Emory Clinic. Almost half of the sections have reserved appointments, and more sections and satellite locations are continually being added. "September 1 is our goal to have reserved slots rolled out across the clinic. " Bizwell says. 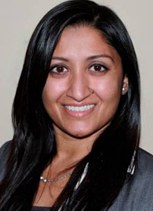 Bizwell works with Bindi Naik, manager of referral management (a new clinic division), to monitor available appointments each week and adjust availability as needed. For example, due to demand, more reserved appointments are being added beginning this week with eight additional primary care providers, says Naik. The change in 8-EVIP occurred in response to feedback from employees who were unhappy with the current process of scheduling appointments with Emory providers, says Bizwell. "Assuring timely access for our own Emory family is a clinic priority, and it's also the right thing to do." "We've received positive feedback on the new process," says Naik. "Having one number to call is more efficient for most people." The 8-EVIP line is answered each weekday from 8 a.m. to 5 p.m.
To view a larger rendering of the project, click on the image. 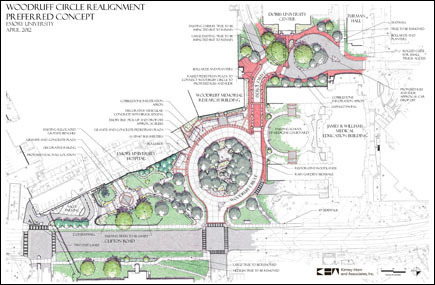 Construction and renovation beginning after commencement and continuing through the summer will improve shuttle access to Woodruff Circle, enhance safety for both vehicles and pedestrians, and improve the aesthetics of the overall area. In the first phase of a project that has been in planning for five years, construction crews will fashion a pick-up/drop-off area for non-shuttle traffic between the Dobbs University Center and the James B. Williams Medical Education Building. Next, the renovation of Woodruff Circle will begin. It will become a true circle (see drawing), with a consolidated entry and exit to and from Clifton Road that has its own traffic light that aligns with Uppergate Drive. Woodruff Circle will be restricted to shuttle buses and delivery trucks only. In addition to accommodating all previous Woodruff Circle shuttles, the new circle will accommodate all shuttles that currently drop off on Means Street. These and other changes will promote better traffic flow of buses, cars, and pedestrians, says Charlie Andrews, senior VP of space planning and construction for the Woodruff Health Sciences Center. A new traffic light and crosswalk at Woodruff Circle, which will replace the light and crosswalk at Clinic A and Emory University Hospital (EUH), will allow walkers to cross the street safely. A left-hand turn lane will be added to Woodruff Circle to ease exit and in each direction on Clifton Road to ease entry for shuttle buses. In addition, sidewalks on each side of Clifton Road will be pulled back farther from the road, with a 4-foot planting strip serving as buffer. Meanwhile, bus shelters inside Woodruff Circle will be updated to provide more protection from the elements, and planters and bollards (short vertical posts) will be added to help separate pedestrians from shuttle buses. New lampposts also will be added. The project will include a new ADA-access sidewalk that leads directly from Woodruff Circle to the new intersection at Uppergate. The current MARTA stop will be relocated to the Uppergate intersection as well. While the project will increase "impervious" surfaces by 9% and 26 trees will be removed from the Woodruff Circle area and EUH front lawn, 90 trees, all native species, will be replanted in these areas, in accordance with Emory's tree canopy policy, according to Campus Services Capital Planner Steve Lange. The area within the Woodruff Circle itself will be restored to natural woodlands, with no mowing required. 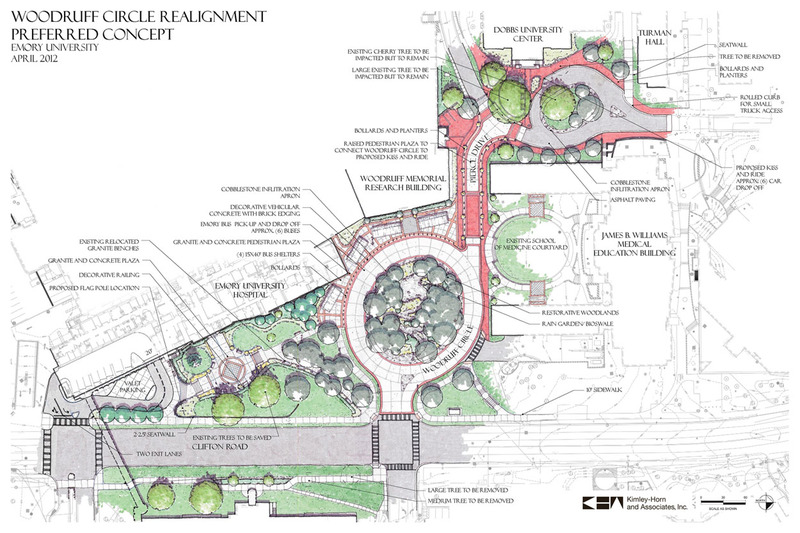 The Woodruff Circle area also will be landscaped and graded to draw the eye to the front of the Woodruff Memorial Building, says Andrews. "This 350,000-sq-ft building is the largest research building on campus," he says, "and we're excited about this opportunity to help showcase this building more." In this tough economy, the 1,100 students at Rollins School of Public Health (RSPH) have a leg up in their quest for employment, thanks to the school's Office of Career Services, directed by Claudia Ellett. She and her staff use a number of tools—career fairs, mentoring, networking, mock interviews, even tough love—to help ensure that students receive the professional and practical experience needed to succeed in a competitive workforce. Her office also works with prospective students and alumni and serves as a networking and referral hub for prospective employers looking for just the right individual(s) to match their employment needs. 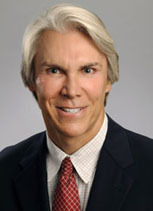 Ellett joined RSPH in 2003 after managing national patient programs for the American Cancer Society (ACS). While there, she met numerous college students eager to fulfill practicum requirements with real-life experience and found herself training student volunteers and becoming an advocate for their success. When she came to RSPH to head the fledgling career services program, Ellett knew firsthand how much new graduates could benefit from basic guidelines about do's and don'ts in their job searches. "It was clear to me that college students need to learn more about professional dress, networking, and being comfortable in professional settings," she says. "One of my first questions is always, "What are you doing to differentiate yourself from your competition?" Last year alone, her office conducted more than 1,800 individual career counseling sessions. She says her experience as a mom is directly applicable in her interactions with students. She gets to know them well, becoming almost a "surrogate family member" who can be tenderly but brutally honest. "I listen closely for what they are not saying to me," she says. Her office's one-on-one mock interviews, in which students receive feedback on everything from resume content to how to negotiate a job offer, are routinely cited in surveys as the reason why many students decide to attend RSPH. Another key service her office provides is access to potential employers. Ellett partners with other career counseling offices throughout Emory—the college, business school, and law, for example—to conduct career fairs each spring and fall that are attended by more than 50 organizations, some of whom are represented by RSPH alumni. 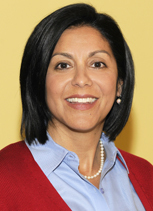 Ellett and her staff also meet regularly with a community advisory board that includes some of the same organizations as those at the career fairs—Kaiser Permanente, CDC, CARE, Deloitte, PricewaterhouseCoopers, Northrup Grumman, Carter Center, Mercer University, Porter Novelli, and Emory Healthcare—among others. "We have the luxury of location in proximity to a lot of community partners and a lot of alumni," says Ellett. "In fact, alumni are our biggest champions." Her office also conducts an annual trip to Washington, DC, where students interact with alumni who work in federal agencies and public health organizations there. Campus is buzzing this week with preparations for the Class of 2012's graduation ceremonies. Since my background is in medicine, it's my great privilege every year to address the graduates of the Emory School of Medicine at their diploma ceremony. In preparing my remarks, it occurs to me that the advice I have for them also applies in principle to our nursing and public health graduates and more broadly, to our faculty and staff as well. As professionals, society has granted us the privilege and expectation that we will in large part self-regulate our "membership" through values and principles that are the foundation of our training and practice. 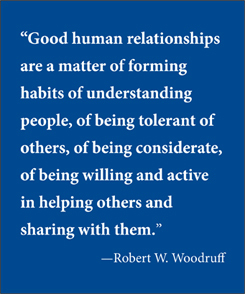 In sum, these values boil down to this: don't just care for your patients and your colleagues across the spectrum of health care; care about them. Sit down when you talk to patients. Do not hurriedly talk down to or about them as if they were not human. Each one is someone's mother, father, spouse, child, sibling. Respect them as if they were yours. Look them in the eye, listen to them, and then listen again. Laugh with them when you can. They are vulnerable and likely need a little dose of pleasantness and warmth. Likewise, commiserate with them in their sorrow and their anxiety. Touch them—not simply in the course of your exam, but with compassion and care when you are listening and talking. Always be as knowledgeable as you can be, and when you don't know the answer to a question from a patient or family member, or colleague for that matter, don't fake it. Say you don't know, but that you will find out. Always be honest, but with compassion. Say you're sorry when you should be. And to your colleagues—treat them all with respect and honor and professionalism, even when you feel pressured and anxious. It is so easy to become protective of your own vulnerability by being distant or even callous and indifferent. Fight that tendency daily. For if you don't, you will miss the greatest reward our profession has the privilege of experiencing. 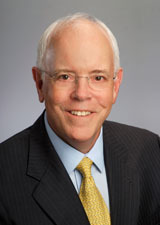 Earlier today, Emory Healthcare President and CEO John Fox sent a message to all EHC physicians and staff announcing a potential partnership with Southern Regional Health System: "Emory Healthcare and Southern Regional Health System have signed a letter of intent to enter into negotiations for Emory Healthcare to manage Southern Regional and integrate it into our health network. Once accomplished, Southern Regional would participate in our Clinically Integrated Network (CIN) in the Southern Crescent. This partnership will enable us to provide greater access to patients south of Atlanta and continue many of the strong partnerships that we currently have with physicians in that community." For more details about this affiliation and what it means, read the full letter. Georgia Tech faculty member Pinar Keskinocak is helping lead the new program. Emory and Georgia Tech are offering a new master's degree program track in predictive health—a field of study that focuses on maintaining health rather than treating disease. The new track will be within the existing master of science in health systems at Georgia Tech. The program will teach students how to analyze and model the risk factors in health care databases, including that of the Emory-Georgia Tech Predictive Health Institute. More info. The National Safety Council has designated Emory as a Safe Community through its Safe Communities America program. Emory is just the second U.S. academic institution to be so recognized. "This designation means that parents sending their children to Emory know that our university has injury and violence prevention programs in place and that for faculty and staff, they are working in an environment committed to their personal safety," says Debra Houry, director of Emory's Center for Injury Control. Read more. Elizabeth Downes was named a fellow of the American Academy of Nurse Practitioners. She focuses on training nurses in developing countries. She has worked in more than a dozen countries. Read more. William Foege (Rollins School of Public Health) has been named a recipient of the Presidential Medal of Freedom. Nanette Wenger (cardiology) received the 2012 Charles Hatcher Jr. M.D. Award for Excellence in Public Health. May 19: National Kidney Foundation Atlanta Walk. Register to walk on the Emory Transplant Team. May 19-20: 10th Annual AIDS Vaccine 200 bike ride benefiting the Emory Vccine Center. More info. May 20: American Diabetes Association's Tour de Cure bike ride. May 21: Fray Marshall Memorial Golf Tournament, Druid Hills Golf Club, 1 p.m. Reception follows at 6 p.m. Proceeds ($300 per player) will benefit research and teaching in urology at Emory. To register, contact Jimmy Owen at 404-778-5429, james.p.owen@emory.edu. June 14-15: Conference sponsored by the Emory Center for Ethics on the ethics of the drug shortage. More info. Contact 404-727-1179. Oct. 13: Winship 5K Win the Fight Walk/Run to support cancer research and care. Register online.